Alexandra Dean's new documentary, Bombshell: The Hedy Lamarr Story, shines a light on a side of actor Lamarr that many didn't get to see: a genius inventor who never got the recognition she deserved. Glamorous, beautiful and an international star: those were the kind of words often used to describe actor Hedy Lamarr's image. She was beautiful, yes, but she was a genius, an innovator, an out-of-the-box thinker far ahead of her time. In 1942, Lamarr invented what's called frequency hopping, to make radio-guided torpedoes difficult for enemies to detect. Frequency hopping became the basis for military communication, secure wi-fi, GPS and bluetooth, all technology that now has a market value of $30 billion. But Lamarr was never paid or even formally recognized for that work, and she died in 2000 after spending the last decades of her life as a recluse. 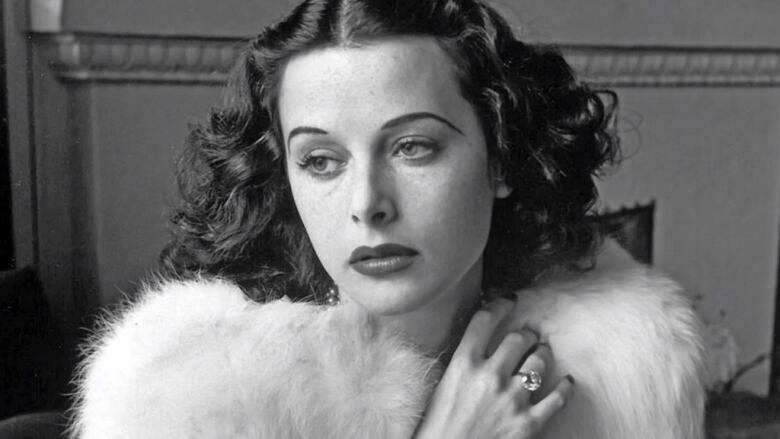 A new documentary is shedding light on the real story of Hedy Lamarr. Using archival tapes, it gives Lamarr the opportunity to tell her own story. Alexandra Dean is the writer, director and producer of the film Bombshell: The Hedy Lamarr Story and today, she joins Tom Power to discuss her film.